Last Friday at the Great Gala presented the book "LOS 100 INTERNACIONAL" Marbella Te Quiero !!! By Oscar Horacio Holtzheker Fernandez, in which were awarded some of the most wonderful personalities of Marbella and other World fabulous cities. Before the dinner, a fashion show took place, whose models wore garments of the Great Designer Patricia Nahmad. The great singer Frank Camelot delighted us with his incredible voice, singing a lot of beautiful songs. 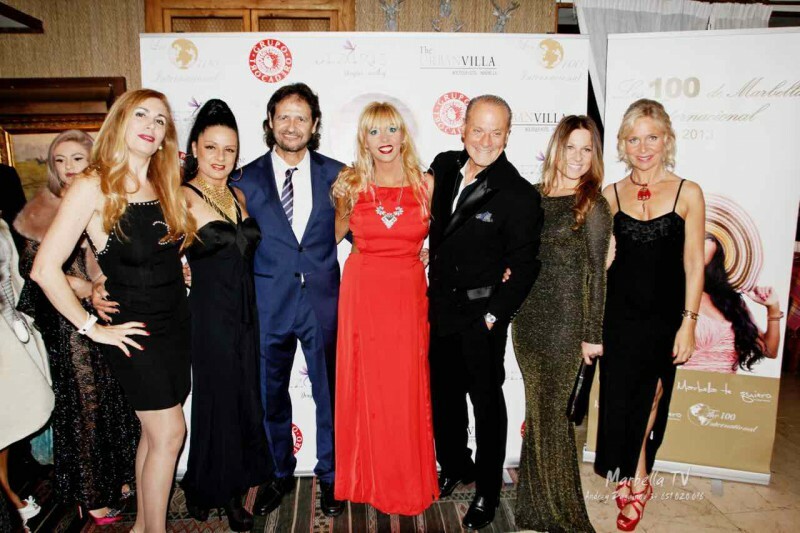 Oscar Horacio (60), one of the most remarkable people in Marbella, has brought back the glamour that always distinguished Marbella from the rest of the world. Showman Oscar Horacio del Marbella Te Quiero has his TV show, produces his Telenovela, and he wrote Marbella Tops 50 or 100 books in the last 20 years already and presented Marbella to the world. I proudly present my book last night Friday THE INTERNATIONAL II 100 Heartfelt thanks to everyone who attended the dinner at Trocadero Arena // Especially Mrs Lorena Roos / Flor San Jose Alvarez / y Monica Montenegro / Venidas. People in party include such celebrities as Natasha Romanov, Athanasios Belitsas, Gabriela Rocamora, Natalia Bogdanova, Caroline Azzi, Oscar Horacio Holtzheker Fernandez, Frank Camelot, Kristina Szekely her sister Francis Szekely, Heidi Charlotte Brateng, Alberto Romero Olga Sotomayor,Annika Urm, Veiko Huuse, Patricia Togores, Adriana Villa, Frank Camelot, Irina Dadiani Alena , Juan Hasani, Frank Camelot, Remedios Nieto Palacios, Bruno Filippone, Alena Kupchynskaya , Eva Marbella, Patricia Togores, Linda Greenway, Prince Antonio DE Pleguezuelos, Necxis Yolanda, Klara Guillen, Maria Pilar Martinez, Maria Olivia Henao, Carlos Salamanca ,Ramirez con Jose Molina and much more. Enjoy the photos of one of the most prominent events in Marbella.